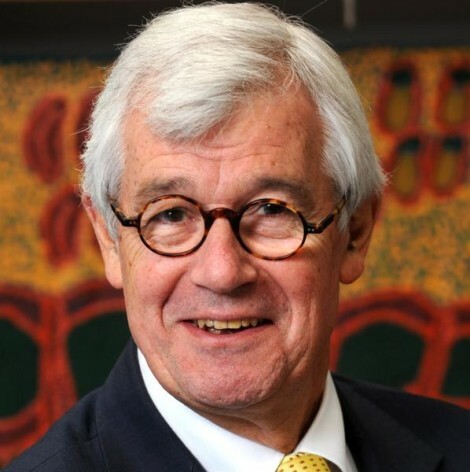 Julian Burnside joined the Bar in 1976 and took silk in 1989. He specialises in commercial litigation and human rights. He acted for the Ok Tedi natives against BHP, for Alan Bond in fraud trials, for Rose Porteous in numerous actions against Gina Rinehart, and for the Maritime Union of Australia in the 1998 waterfront dispute against Patrick Stevedores. He was the Senior Counsel assisting the Australian Broadcasting Authority in the “Cash for Comment” inquiry. He has acted pro bono in many human rights cases, in particular concerning the treatment of refugees. He is passionately involved in the arts. He collects contemporary paintings and sculptures and regularly commissions music. He is Chair of Fortyfive Downstairs and Chair of Chamber Music Australia. He has written a successful children&apos;s book, Matilda and the Dragon (Allen & Unwin) and a book of essays on language and etymology, Wordwatching – field notes from an amateur philologist, (Scribe, 2004). In 2004 he was elected as a Living National Treasure. In 2009 he was made an Officer of the Order of Australia. In 2014 he was awarded the Sydney Peace Prize. He is married to artist Kate Durham.